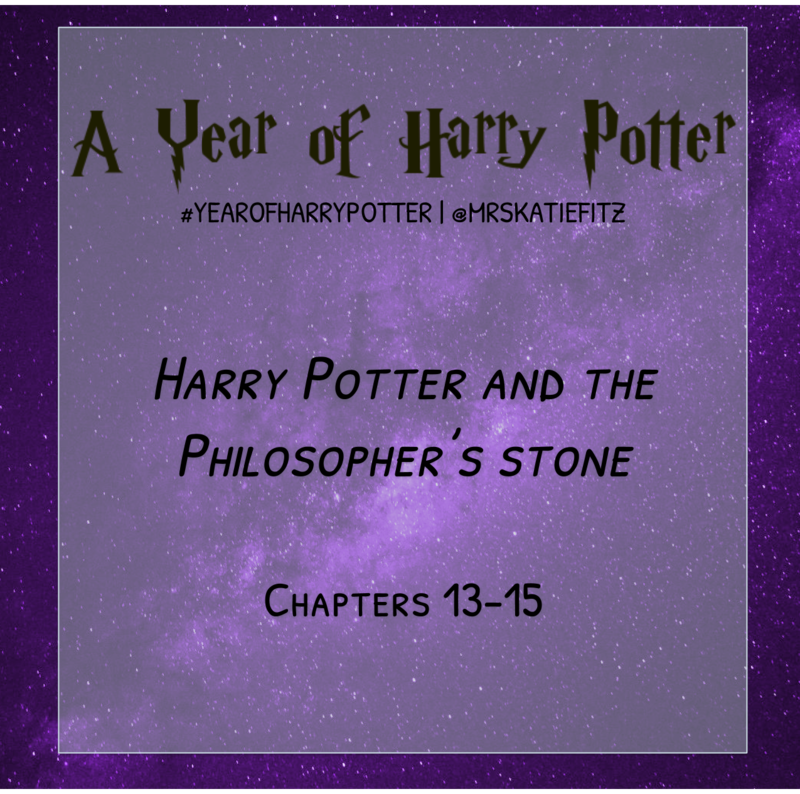 This week's reading was Chapter 13 ("Nicholas Flamel"), Chapter 14 ("Norbert the Norwegian Ridgeback"), and Chapter 15 ("The Forbidden Forest"). There are spoilers for the entire series in this post. In these three chapters, I mostly found myself thinking of Snape. Rowling cleverly sets up her readers from the very beginning to be suspicious and skeptical of him, which really lays the groundwork for his role in the entire series. Knowing the full story, I look at the moments involving Snape in this book and I clearly see him protecting Harry, and Hogwarts in general, again and again. I also see, though, the way it looks as though he might himself be dangerous, and I like that Rowling makes it equally possible to imagine both scenarios. Also in this segment of the book, Harry and his friends do actually get punished for wrongdoing (being out of bed in the middle of the night) by losing a lot of points for their house and being sent to the Forbidden Forest with Hagrid for detention. Of course, the detention just serves as a vehicle for sneaking more information about Voldemort into the story, but still, it is a punishment. The fact that Harry contemplates how he might get out of trouble notwithstanding, the adults in the story seem to get this right. I'd also forgotten about the centaurs who live in the forest appearing in this first book, and I like all the suspense and intrigue that surrounds these silent and suspicious creatures. The other creature I'd forgotten is Norbert, the dragon which Hagrid illegally hatches from an egg, and which is the reason Harry and co. are out of bed to be punished in the first place. (It's possible that I had conflated his story with that of Buckbeak in Prisoner of Azkaban.) I do love Hagrid and his obsession with dangerous magical creatures. This week, I'll be finishing the book and getting ready to move on to the next one!